Mildred Lila Grace Benesch, nee Bunger passed away peacefully on February 24, 2017 in Glendale, AZ. Mildred, known as MeMe or Cecilia to friends and family was a loving and compassionate sister, aunt and friend. 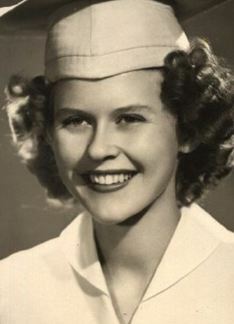 She was born September 7, 1928 in Los Angeles County, CA to Samuel and Alta Bunger. She spent most of her life in California, Washington, and the last seven years in Arizona. Mildred touched the lives of many during her time as a nun, teacher and avid cat breeder. She was preceded in death by her parents, Samuel Bunger and Alta McNaughton; sisters, Frances Bunger, Doris McGee, Dorothy Setchell, Margaret Tripp and Barbara Bunger; brother Samuel Bunger and husband George Benesch. She is survived by her sister Jean Newman, numerous nieces and nephews, friends and her beloved cat McKenzie. Mildred was loved and will be greatly missed by her family. In lieu of flowers, memorials may be made to Hospice of the Valley. Oh Miss Celia, you will be missed with all our hearts. You came into our lives when we lost a kitty when we moved to Washington. We never found our baby but you brought us more kitty love then anyone could imagine 😘 RIP sweet lady. We love you. Our love to your family. So sorry for your loss. I got my two beloved Abyssinians from Mildred twelve years ago, Tiberius and Messalina. we lost Tiberius three years ago to a stroke, but his sister is still with us. Mildred and I have remained friends through the years. I was just thinking that I owed her a telephone call. She was a wonderful person and I shall miss her greatly, as I am sure all who knew her will. I am so sorry to read this. It must be fate that I read this. I haven’t been on the internet much due to moving to a different city/house. Mildred is now reunited with all her loved ones that passed before her, may her time be filled with love and friends. It came to a complete shock to us in hearing of passing of Mildred. So many kind words could be said about her …knowing the feelings and thoughts are the same from 99.9 percent of others that kept contact through the years. RIP Mildred, we love you. My sincere condolences to Mildred’s family and friends.